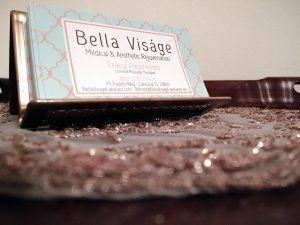 The experience at Bella Viságe Medical & Aesthetic Rejuvenation is simple. We have created a beautiful spa that caters to medical rejuvenation, luxurious services and the ultimate in relaxation. Our spa’s uniqueness comes from the types of services we offer, our welcoming, thoroughly trained staff and convenient location in central downtown Lakeland. We chose to make our home in downtown Lakeland because of the particular look and feel associated with its ambiance; the history and ever evolving potential. From the charm of the buildings to the collaborative sense of community and family friendly atmosphere, its all here. First class dining choices, top notch professional services, amazing shopping locations and a wonderful community of people all finding success in their unique ways. What could be better? We wanted to be a part of that! Ahead of opening our doors, we thoroughly explored the types of services our clients would seek and created our menu based on those desires and demands. As a result, we now proudly offer exclusive services that have the ability to produce lasting results for our clients. With amenities that are not commonly offered in the Lakeland area, such as microneedling, sclerotherapy (for spider veins) and LHE photo rejuvenation, we set ourselves apart from the competition. Of course, we offer the necessities like Botox, Jevaderm and other dermal fillers. 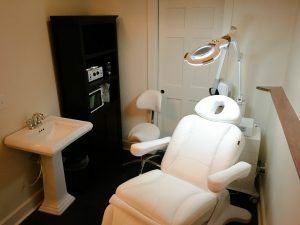 To compliment these medical rejuvenation services, we also offer hair removal, a complete line of massage therapies, and aesthetic services, which include microdermabrasion, facials, chemical peels and more to our clients the pinnacle in pampering. 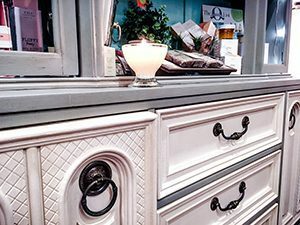 Presented on our gorgeous antique displays, we also make sure to extend the best product lines available to our clients for take home use. Meaning that when you leave our spa, your experience does not have to end. When you select a product from our spa, each will have a special use to enhance your at home treatments. We even have an all-natural collagen supplement to help restore lost collagen to your skin. This will help in reducing wrinkles from the inside out and provides 18 grams of nourishing protein per serving. Many months were spent trying and analyzing multiple product lines to ensure that we provide products the most natural and effective ingredients, from companies that prioritize customer service. Our ultimate goal at Bella Viságe is to be able to pamper our clients, and at the same time guarantee that they will get the best results and value for their money. We take pride in being a part of the small business community of Lakeland and we look forward to serving you in our spa.